Many plants that would be tender in most parts of Ireland and Britain have been planted at Earlscliffe. These include Cyathea and Dicksonia tree ferns, banana, Protea, Banksia, Schefflera, Juania and other subtropical (Climatic Zone 9) species. 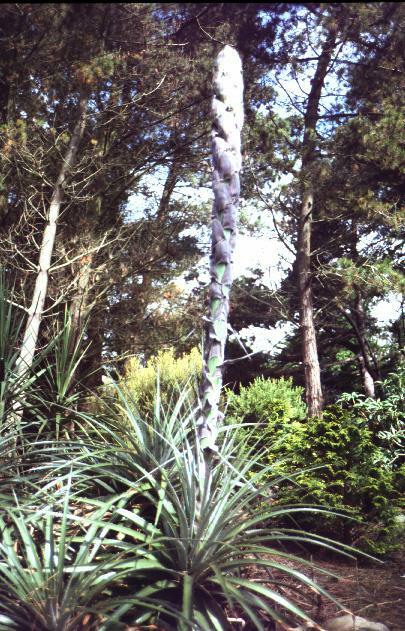 To reduce labour, woody plants have been favoured and relatively few herbaceous plants are grown. Apart from herbicides and slug pellets no pesticides are used. Fertilisers are used only on the grass, vegetable and fruit areas and not on ornamental trees and shrubs. 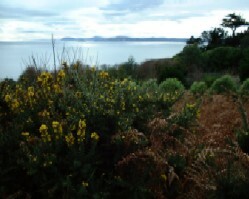 The garden occupies just under 2.5 hectares and another 2 hectares is covered with native plants prevalent on the Howth peninsula including bracken (Pteridium aquilinum), gorse (Ulex europeaus), brambles (Rubus spp) and elderberry (Sambucus nigra). Canary Islands. 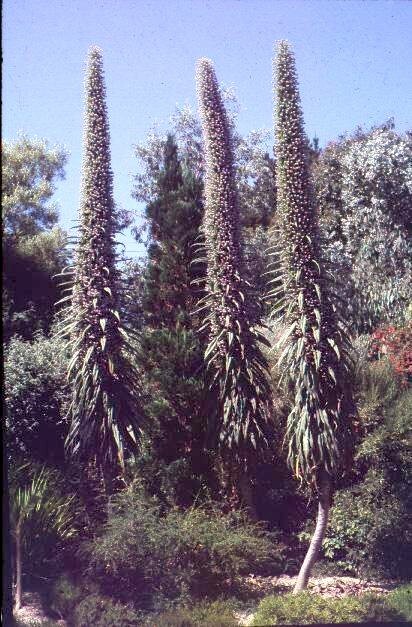 Earlscliffe is noted for the large numbers of seedlings of Echium pininana which occur in many parts of the garden. 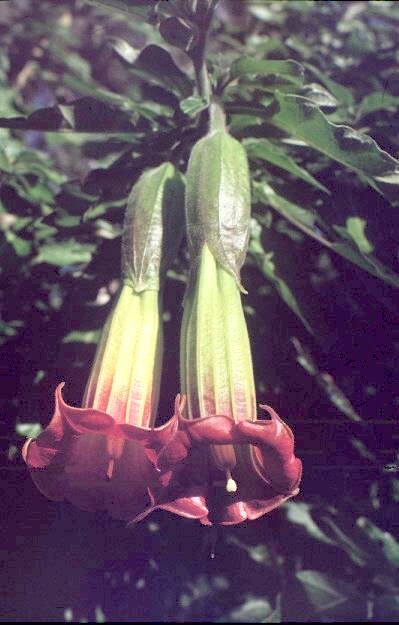 This is one of the giant Borages which grows on the stony hill sides and open laurel forests in the Canary Islands. It is an endangered species in its native home but at Earlscliffe it would become a weed if steps were not taken to reduce its numbers each year. It can grow from a height of about 2 metres to over 6 metres between early March and late June The beautiful red flowered Echium wildpretii is also grown but this is much more tender and plants may be killed in a cold winter. Mexico. 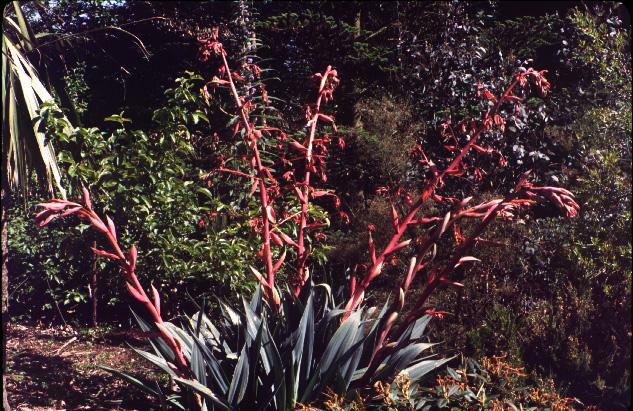 Mexican plants that have proved hardy at Earlscliffe include Beschorneria yuccoides, Agave americana, A. ferox and Pinus montezuma. Mediterranean area. Erica lusitanica is much at home and self seeds prolifically. Nerium oleander survives the coldest winters but flower buds seldom open. Asia. 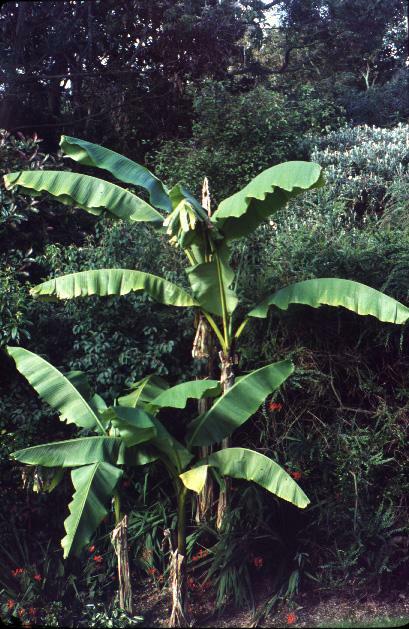 The banana (Musa basjoo) from the Ryukyu Islands lying between Japan and Taiwan (Latitude 26 – 28° N) grows vigorously and fruits most years. Itoa orientalis, a striking foliage plant from Vietman, survived the cold 1995/96 winter as a young transplant and has grown well since. Many plants from the Southern Hemisphere including South America, South Africa and especially Australia and New Zealand flourish under the soil and climatic conditions here. Australia. The hardiness of a large number of Eucalyptus species is being tested. About 130 of the possible 600 species have been planted since 1969 and 60 have survived. 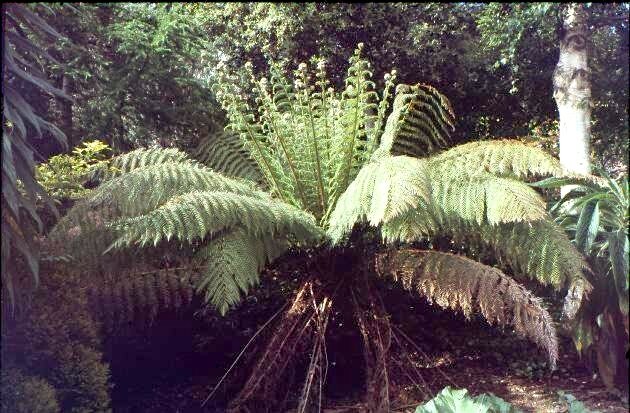 All the species that have proved hardy are native of Tasmania, Victoria and/or New South Wales. No species endemic in Western Australia, South Australia or Queensland survive over a period of years. Western Australia Corymbia ficifolia (previously Eucalyptus ficifolia) survives for a few years and has reached flowering stage, but is not long lived. This species appears to be susceptible to about – 5 ° C. So far no hardy red flowered clone or hybrid has been produced but small scale breeding (with red flowered E. caesia as a parent) and selection work (from seed collected in Western Australia in 1996) is in progress. 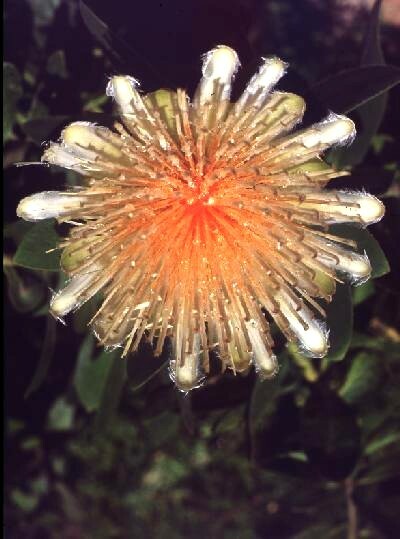 Other Australian plants being tested include Callistemon spp, Correa backhousiana, Banksia collina, Telopia speciosissima. Xanthorrhoea preissii Dicksonia antarctica, Cyathia cooperi and Schefflera digitata. New Zealand. Many New Zealand plants are so much at home that they self seed in large numbers including Cordyline australis, Phormium tenax, Solanum laciniatum Pittosporum tenuifolium, Olearia paniculata and Libertia grandiflora. Other decorative plants are Olearia ‘Henry Travers’, Metrosideros robusta and M. excelsa and the very beautiful tree fern Cyathea dealbata. Cordyline bauerii flowers freely each year. South Africa. The garden includes many South African plants such as Protea lacticolor, P. cynaroides, Pelargonium papilionaceum and Melianthus major. Cape heaths are among the most interesting and decorative plants from this area. 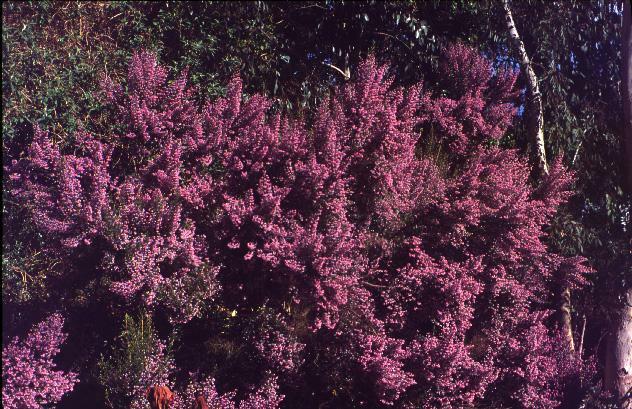 Probably the most spectacular is Erica canaliculata, which can reach a height of 4 or 5 metres and remains in flower for three months. 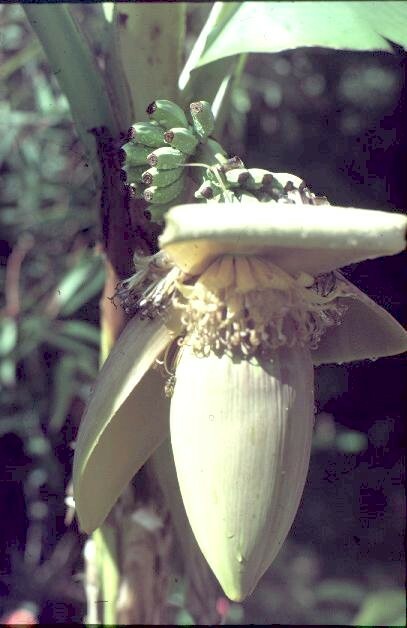 Other species that have proved hardy over many years are E.cruenta and E. pageana. Psoralea pinata is only marginally hardy and can be killed in a hard winter but it grows rapidly and replacements soon make large shrubs. South America. 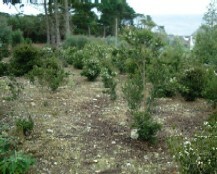 Some Chilean and Argentinean plants, such as Luma apiculata and Escallonia macrantha are so much at home that they have acquired weed status. Lomatia ferruginea also self seeds freely. Embothrium coccineum, Brugmansia sanguinium, Desfontainea spinosa, Brugmansia sanguinea, Crinodendron hookerianum, Puya spp and the bromeliads Ochagavia carnea and Fascicularia bicolor also grow well. 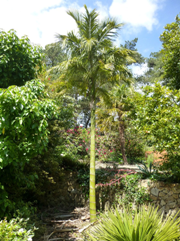 The most prolific palm in the garden is the 'hard to grow' Juania australis from the Juan Fernandez islands. This was planted in September 1995 and in 2016 was over 9 metres tall, and thriving. (Picture left was taken in June 2015). Like many other garden owners, David and Muriel Robinson undertook a millennium project in 1999. 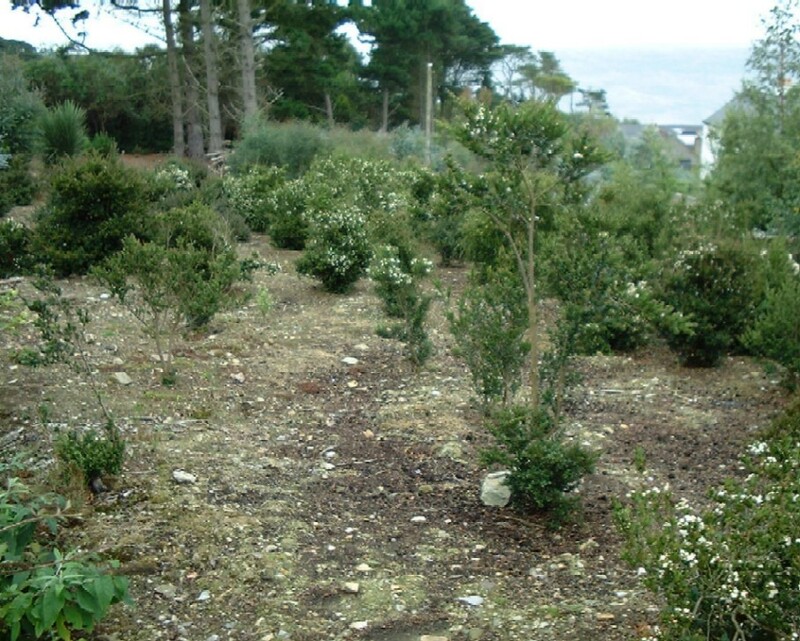 During the year they planted up a small woodland of 100 Luma apiculata (Chilean Myrtle), one plant for each decade of the last 1,000 years, the last specimen being planted alongside Fiacre's Fell at dusk on December 31 1999. This tree, with its beautiful cinnamon-coloured bark, grows as happily on the Howth peninsula as it does in its native Chile and Argentina and the plants for the new woodland were all self sown seedlings dug up from various parts of the garden. 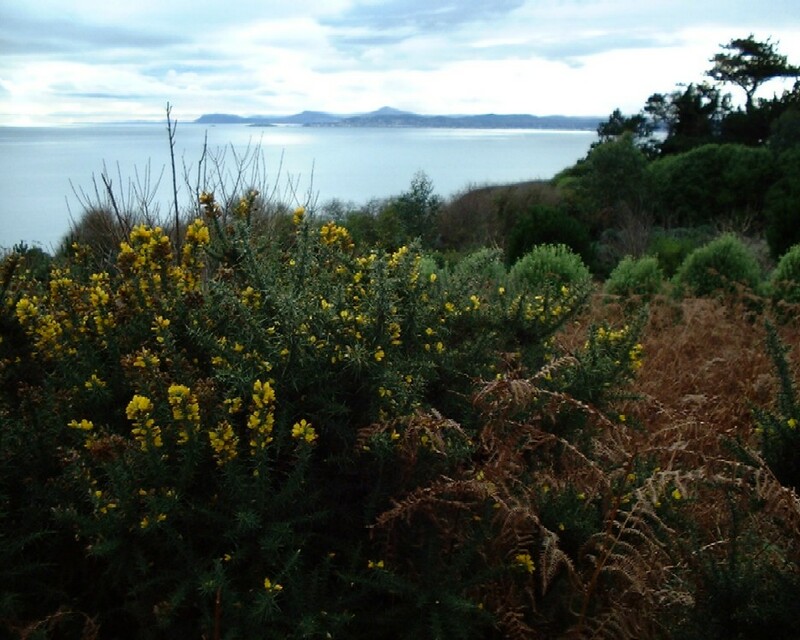 This tree becomes more beautiful as it ages and we hope that this woodland will further enhance the beauty of Howth and, along with the other exotics growing far from their native land, will give pleasure to many people in the years ahead.